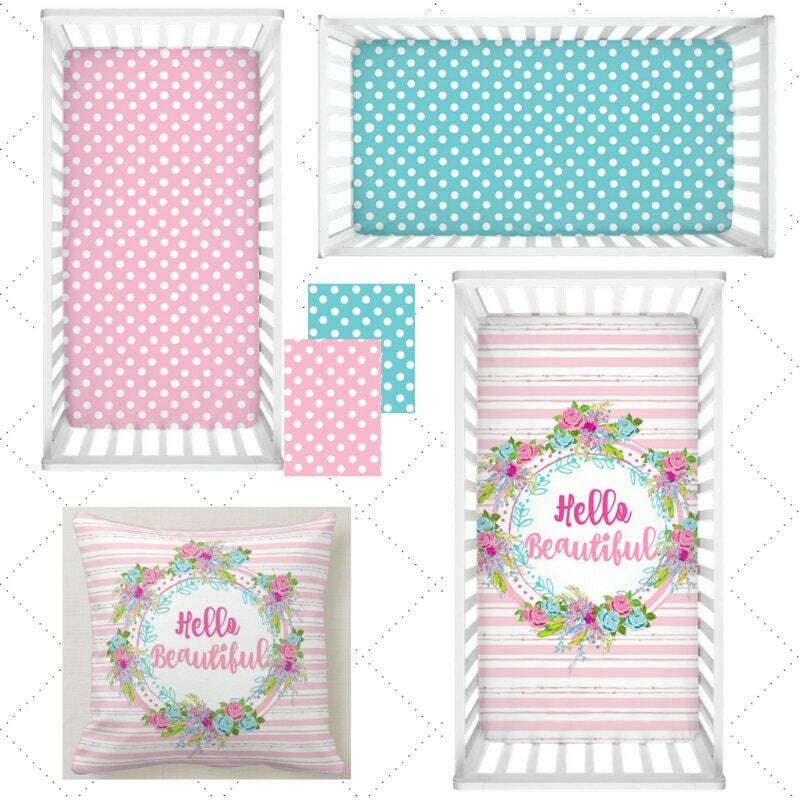 In Stock - Ready to ship Pillow 16x16! 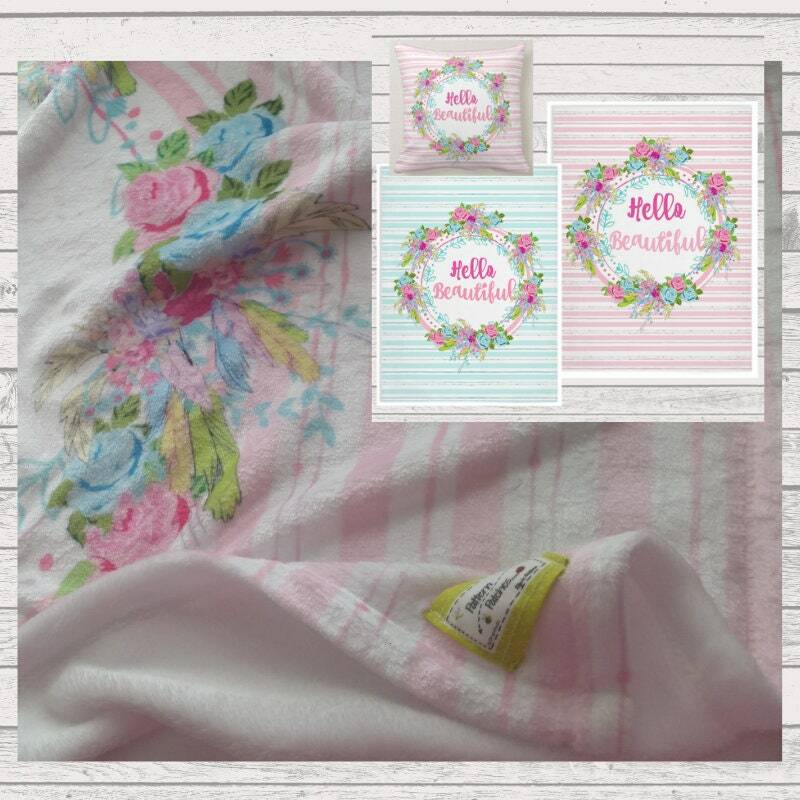 Shabby Chic / Boho / Farmhouse chic decor. 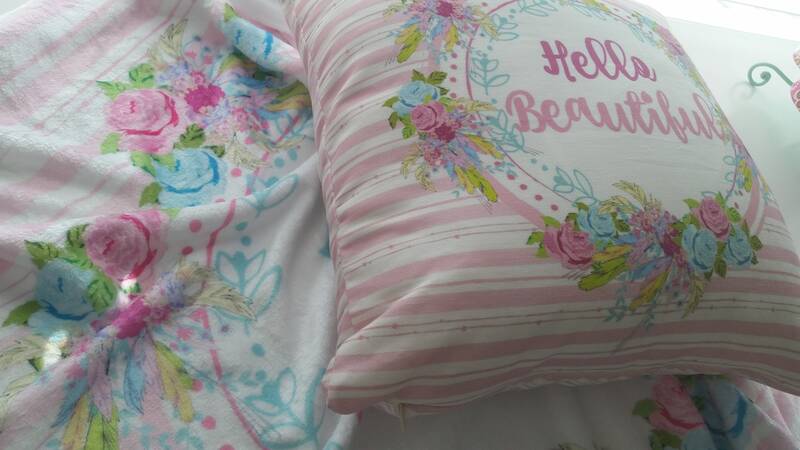 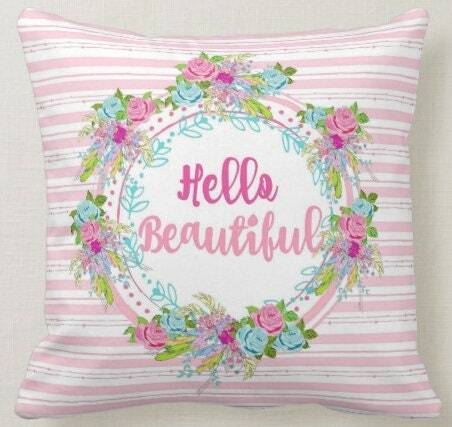 Nursery / Kids bedroom decorative throw pillow - Hello Beautiful in center floral wreath with pink stripes.